Irida’s Villa Sunrise is built on a private hill a few meters outside the village Mirthios. A small paradise, surrounded by a large olive grove, and away from everything busy that guarantees moments of relaxation and tranquility. 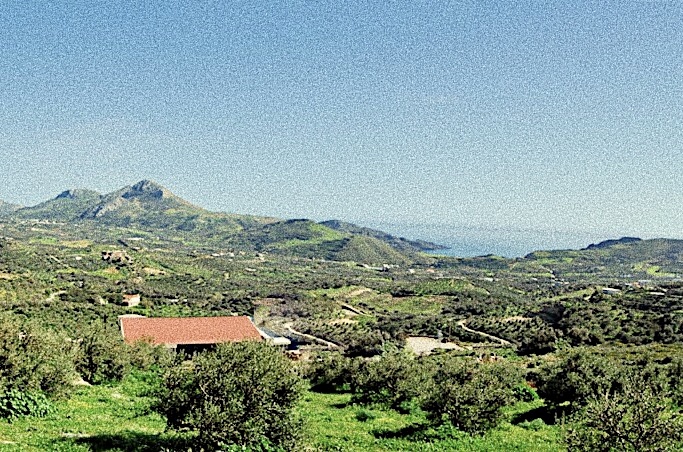 It is an ideal solution for quiet and relaxing holidays in Crete away from the noise of the city on the top of the hill with breathtaking view to the bay of Damnoni and the bay of Plakias. The villa consists of 3 bedrooms, 2 bathrooms, a comfortable & spacious sitting room and an open plan kitchen. All bedrooms of the villa come with amazing king size beds with orthosomatic COCOMAT mattresses from 100% natural organic materials for an incredibly comfortable night sleep. 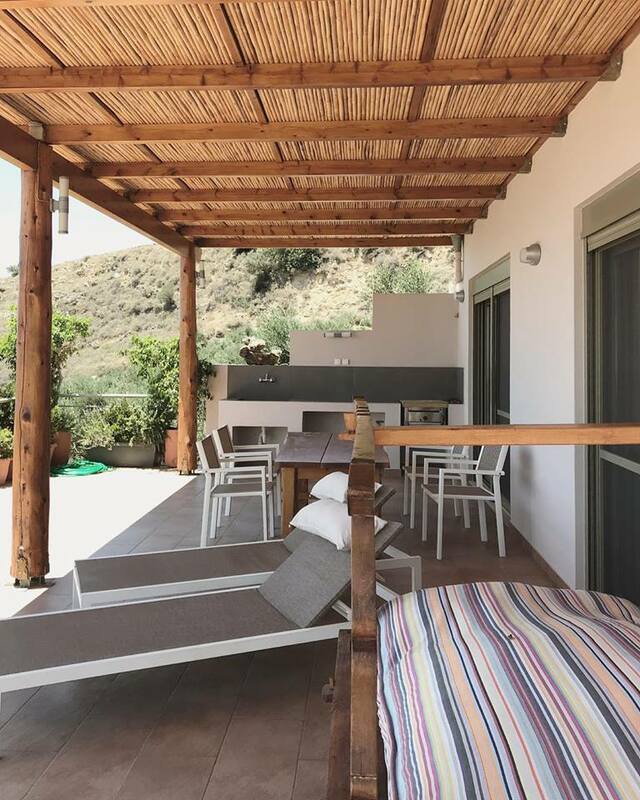 The luxurious environment of the fully equipped 125sqm villa combined with the unique panoramic view from the huge terrace balcony is a guaranty for unforgettable holidays in Crete for a family or a company of friends.